Hot 91.9 FM Live Streaming Online . Listen over 120 South Africa radio Stations Online . This station was launched on the 17th of November 2014 . 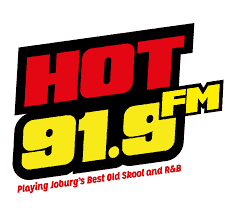 Hot 91.9 FM broadcasts to Sandton, Randburg, Fourways and surrounding areas and offer listeners personality driven radio with the best music around . It is a community radio station based in Northriding and broadcasting to North and surrounding areas of Johannesburg . It is a Fun Radio with a cause as per its Founder . Physical Address : Loft 16 Fancourt Office Park, Cnr Northumberland & Felstead Rd, Northriding, Johannesburg, 2196 . Postal Address: Po Box 782044 Sandton 2146 .